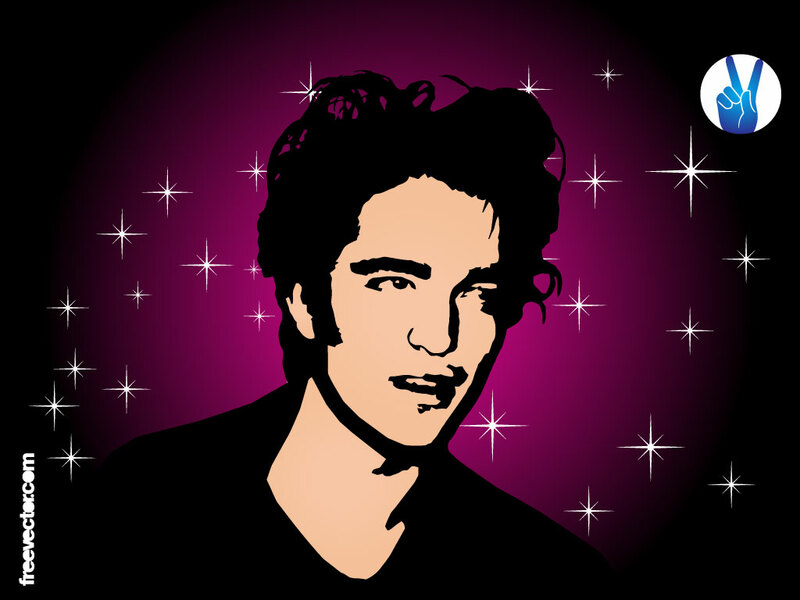 Download this vector wallpaper of Robert Pattinson. Pattinson became a worldwide star as Edward Cullen in the movie Twilight, based on the book by writer Stephenie Meyer. Tags: Actor, Edward Cullen, Model, Movie, Robert Pattinson, Twilight, Vampire.